A new art center dedicated to showcasing contemporary art and fostering young artists opened Thursday in Sinsa-dong, Seoul. To mark the opening, the Platform-L Contemporary Art Center, founded by Taejin International -- which manufactures and sells leather goods under the brand Louis Quatorze -- is holding two exhibitions that show multimedia works of Korean artist Bae Young-whan and Chinese artist Yang Fudong. “We aim to make the space one that offers a lot of opportunities for young artists -- whether they are designers, architects, curators or art critics. Anyone engaged with contemporary art forms can share and evaluate many ideas here,” said Park Manu, director of the art center, at a press preview Tuesday. According to Park, Taejin International has been an art patron for a decade, sponsoring a number of arts projects, including the 2014 National Museum of Korea exhibition of masterpieces from the Musee d’Orsay in Paris and the Seoul screenings of “Factory Complex” by Korean filmmaker Im Heung-soon which won the Silver Lion at the Venice Biennale in 2015. 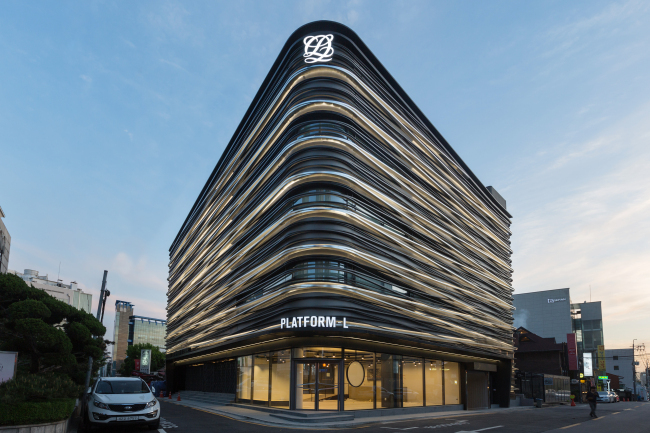 The new seven-story building, designed by architect Lee Jeong-hoon of Joho Architecture, is a space for multidisciplinary art -- visual art displays, film, performance, theater, music and dance. The center features exhibition space, a lecture room for public programs and seminars and a versatile live hall that can showcase films and dance performances. The exhibitions celebrating the opening are solo shows of Bae and Yang who explore contemporary lives and people through photography, video and sound. 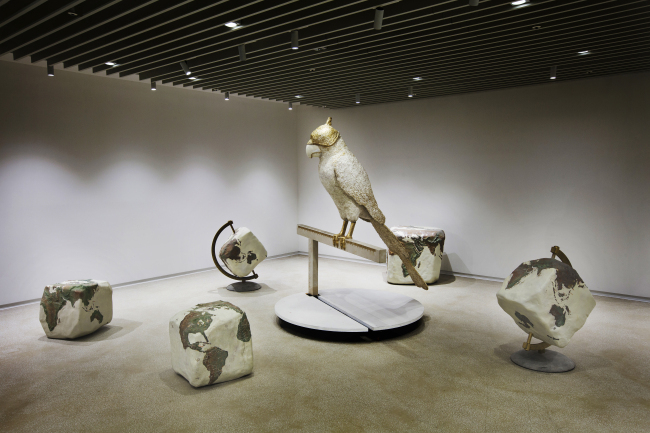 Bae, whose works have been featured at the Venice Biennale in 2005 and the Sharjah Biennale in 2013 and other international exhibitions, features birds as self-portraits of people living in contemporary society in his sculptures and videos. On show at the Platform-L Contemporary Art Center is a sculpture of a blindfolded parrot emitting sounds of world news broadcast through speakers as if they were the sound of the parrot’s singing. 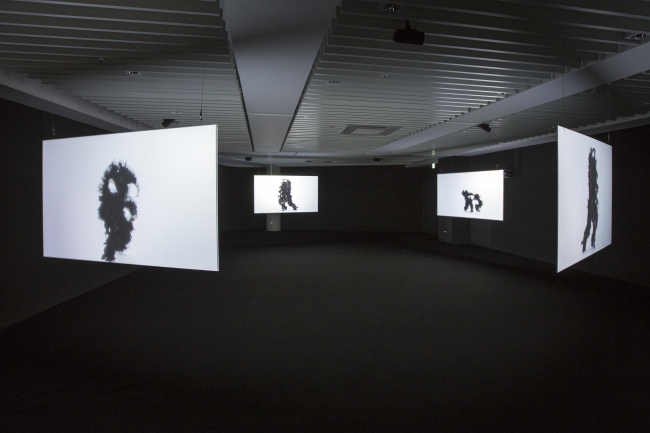 In a four-channel video installation, a dancer wearing a feather costume dances along to drum beats that makes the dance look like a primitive movement, or a street dance, depending on the viewer’s perspective. Shanghai-based artist-filmmaker Yang Fudong showcases a five-channel video installation that screens his new film “The Colored Sky: New Women II.” The work portrays the desires of young women aspiring to become movie stars as a metaphor for a sentiment that was prevalent in China under the influence of Western culture in the early 1900s. “I imagined a picture where a young girl longs for a distant future,” said Yang, who shot the film against artificial settings of a beach, desert and hills. 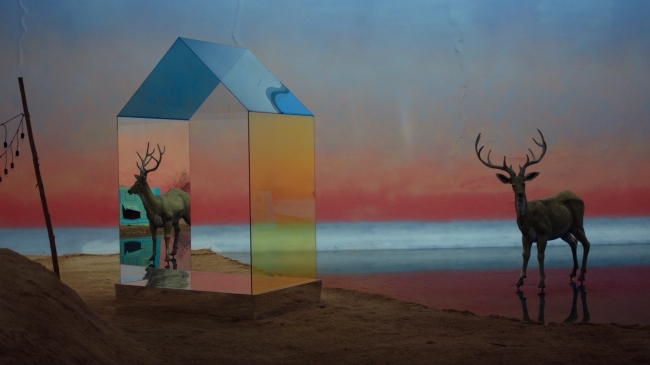 The art center will hold four to five exhibitions annually and collect commissioned artworks. “The direction of the art center lies in the long-running process of the work we do with young artists. We hope this place will become a creation center that allows artists and curators to produce creative works and projects,” said Park.